We are in the Age of the Soul, a time that has been talked about for millennia. This age began last century and will continue for a thousand years. In this time, people are waking up to their spiritual nature, their soul. What does the Age of the Soul mean? God speaks through me, directly to you the reader, in Age of the Soul. I’ve included some excerpts below of God’s message. Why is the Age of the Soul important to you? How do you know your soul’s purpose and live from it? We each have a very important role in the Age of the Soul that no other soul can fulfill. Believe you do and expect to know your unique purpose at this time and God will begin to reveal it to you. If you were to imagine your soul’s message to the entire world, what would you imagine your soul would say? This message is the inner essence of your purpose. 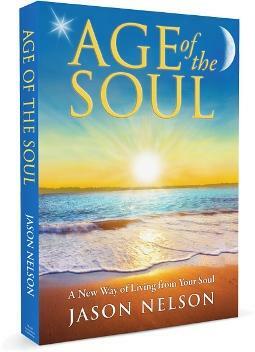 Read the 2nd edition of Age of the Soul: A New Way of Living from Your Soul and you will uncover who you truly are. For the small price of this book.